Bearing Cap Gasket for the Berkeley Jet Pump. 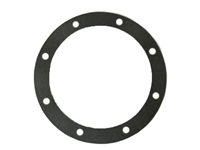 This gasket is what is used on ALL split bowl pump models. Gasket for the Berkeley Jet Pump Bowl. Gasket for the Berkeley Jet Pump. Rubber Transom gasket for the Berkeley Jet Pump. This is a six piece gasket and Teflon O-Ring set for the Berkeley Jet Pump.